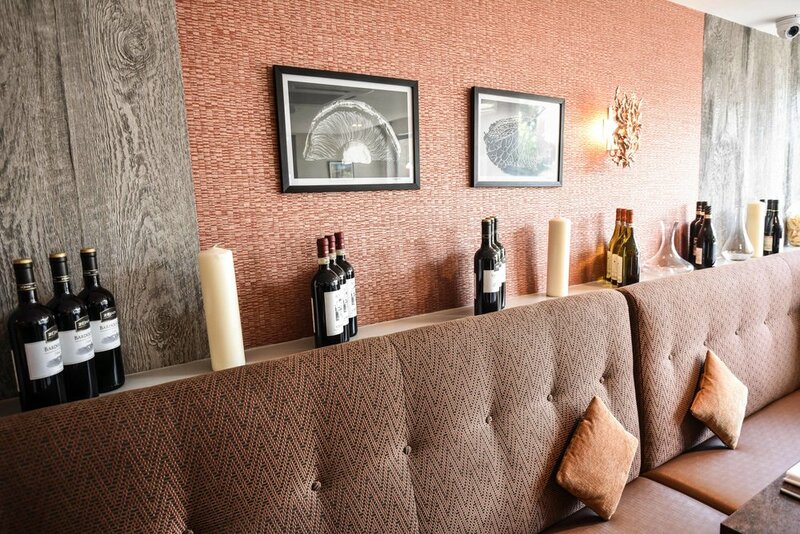 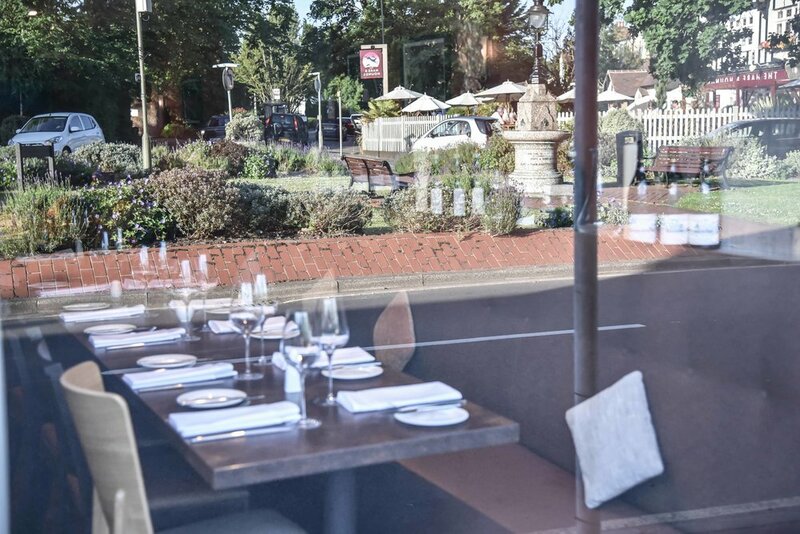 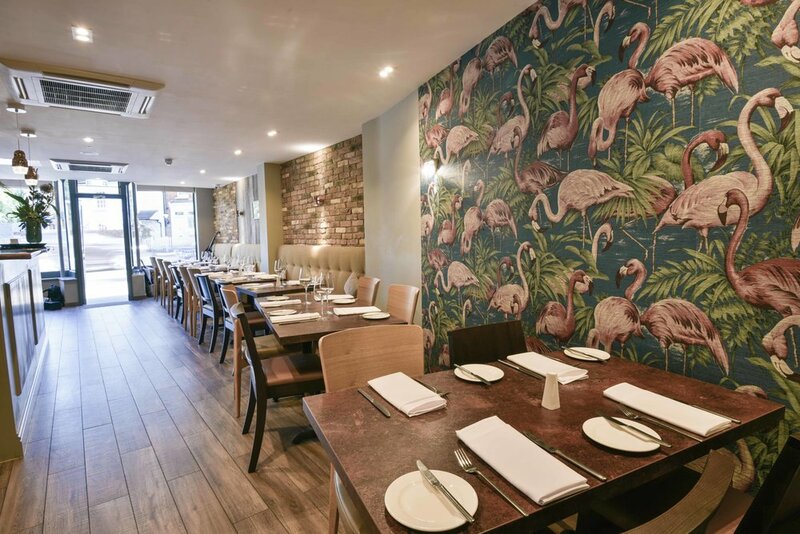 This is the total refurbishment of a restaurant premises in Claygate. 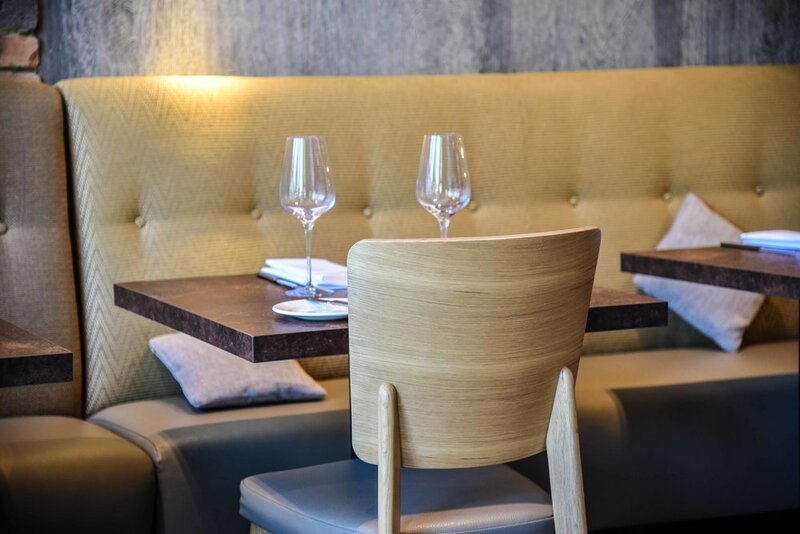 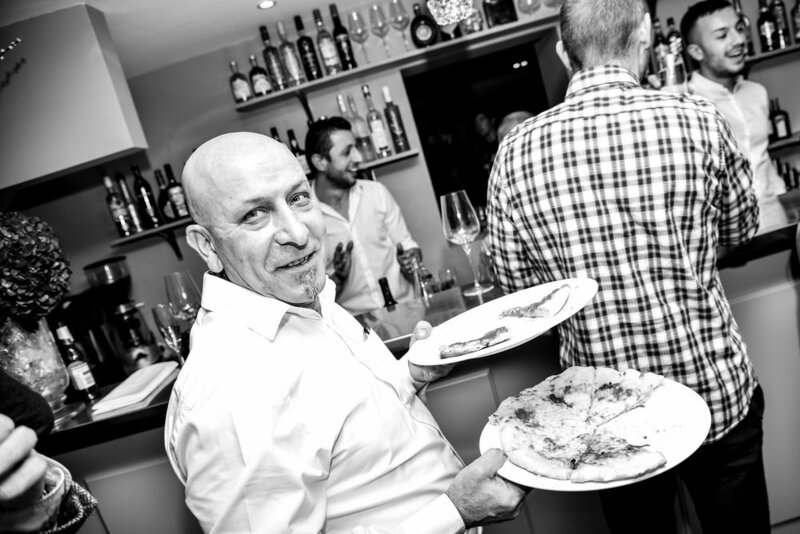 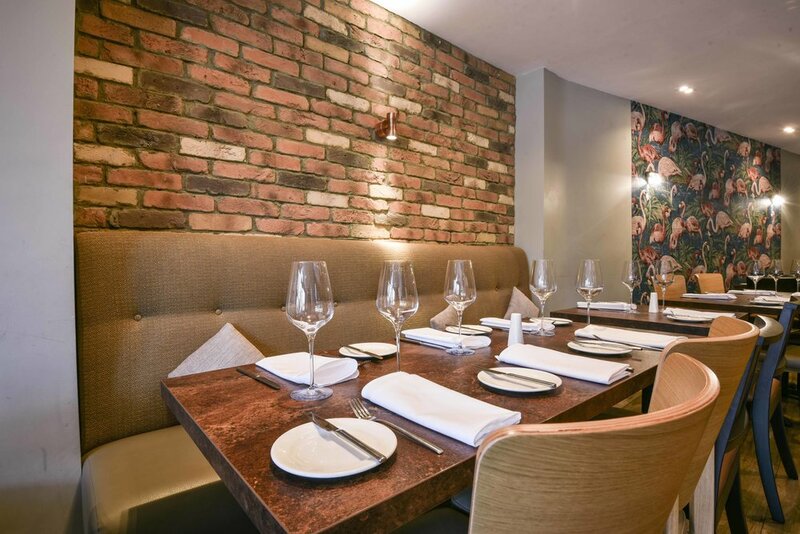 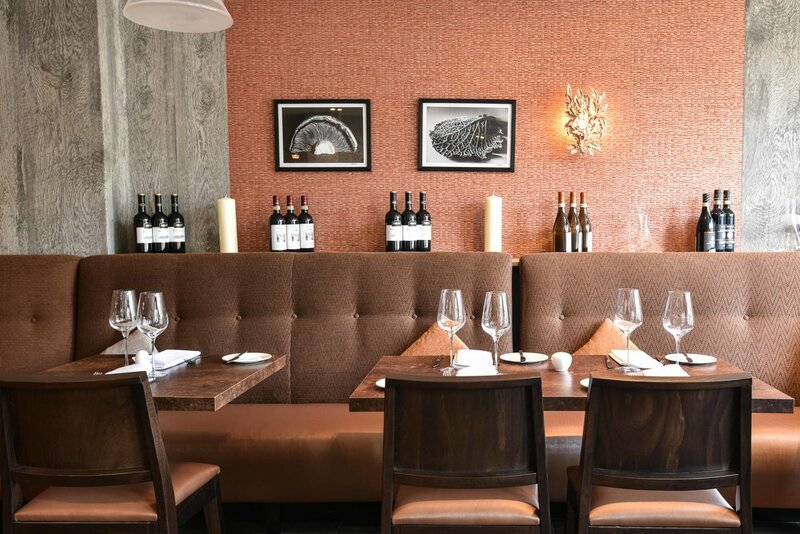 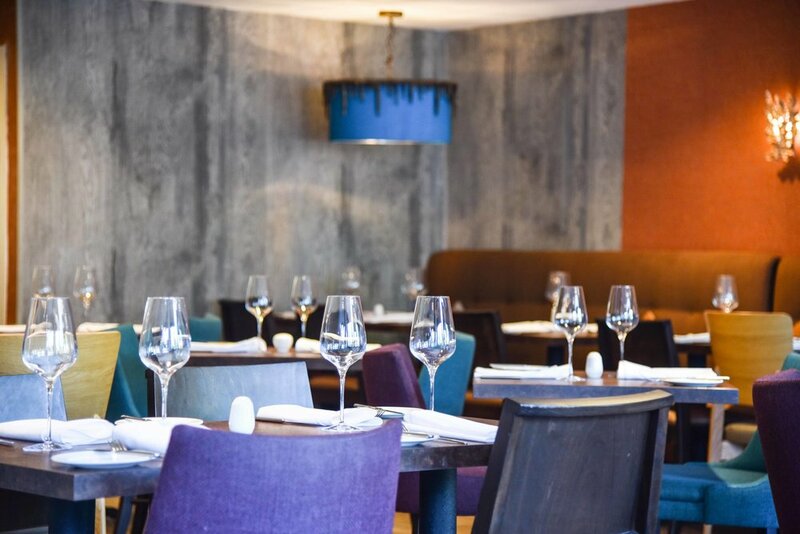 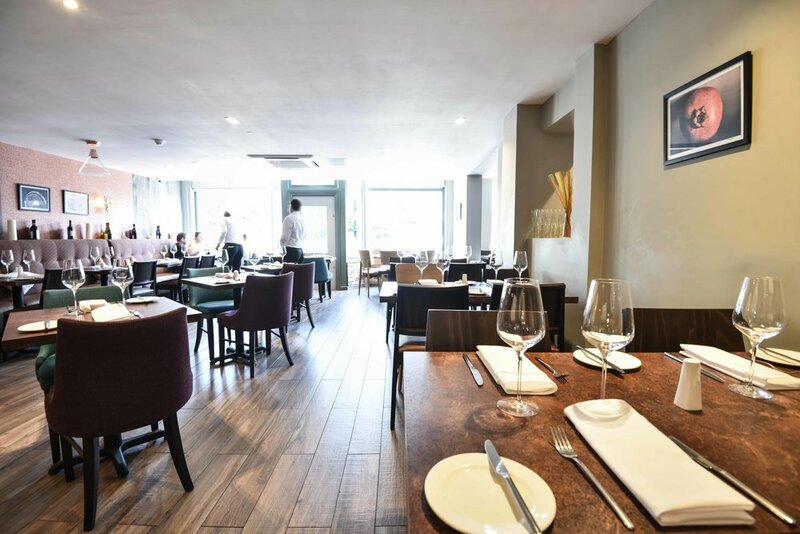 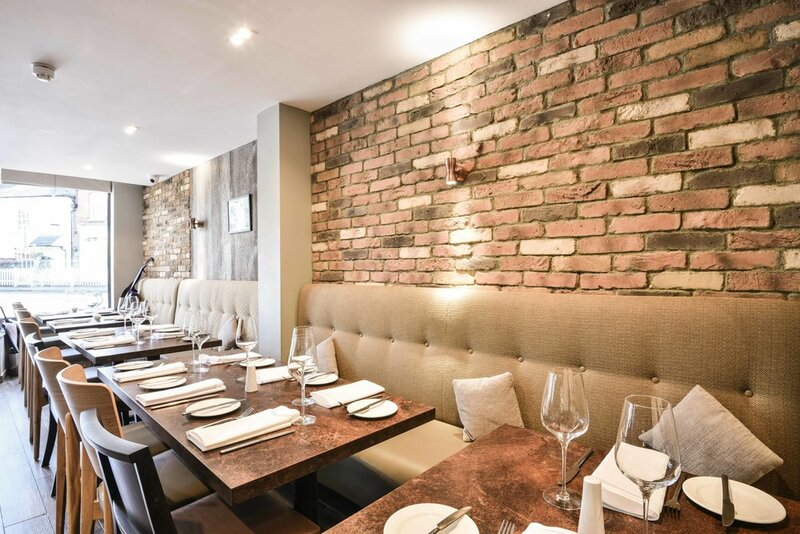 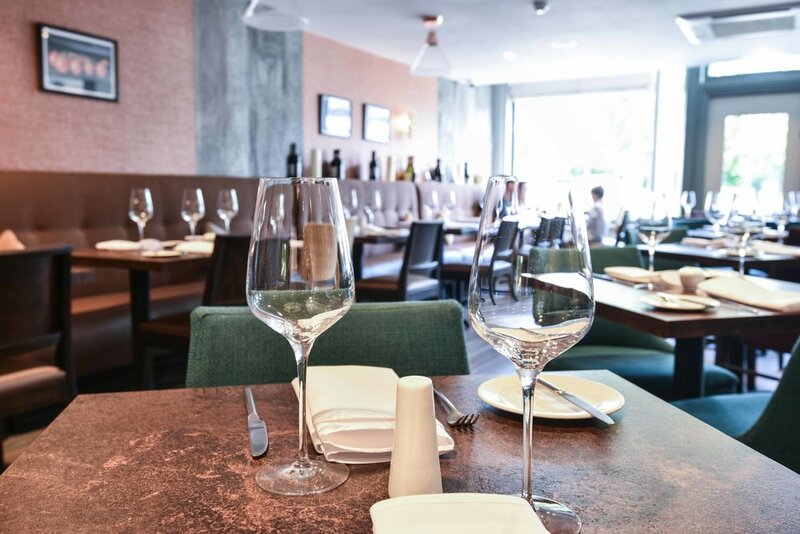 To design a bright, exciting and contemporary dining environment, creating the desired mood to compliment his modern menu for this entirely new Italian Restaurant. 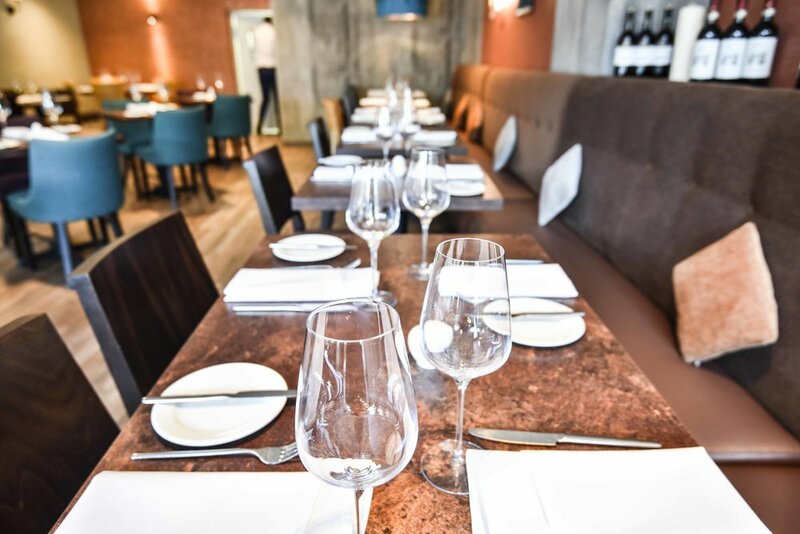 Everything was stripped back to a shell, new cloakrooms, and a professional kitchen were created, A central bar draws customers to the hub of the restaurant where they are greeted and shown to their table. 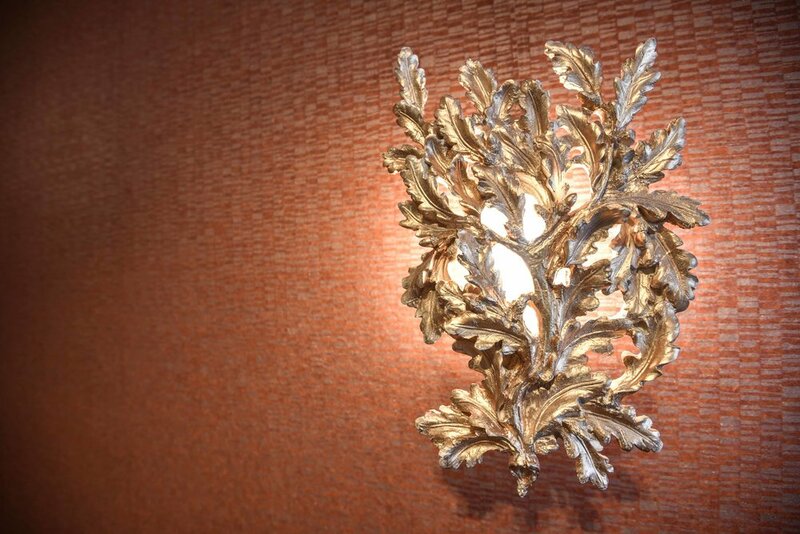 Obviously lighting is always a critical element and here we supplied both general and decorative fittings throughout. 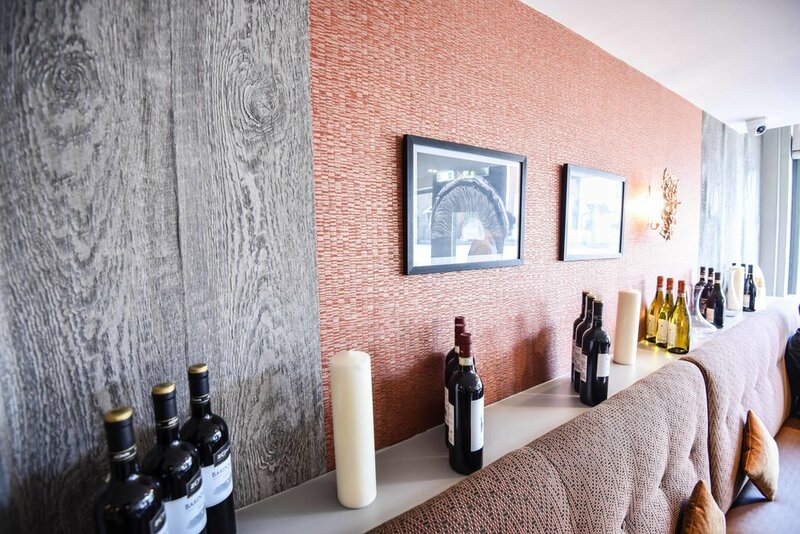 The creation of harmonious atmosphere in any interior is uppermost in every designer's mind, we wanted to give a stylish 'flow' to the walls and we achieved this by using several different, yet complementing wall finishes. 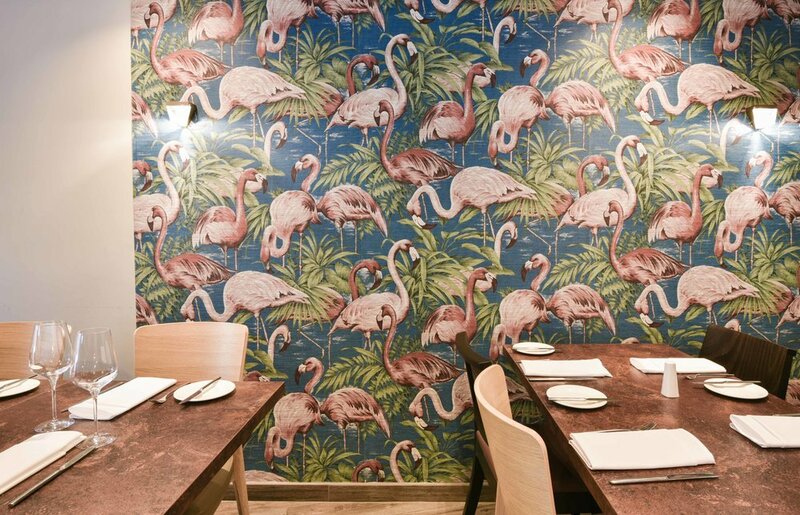 It was agreed this approach gives the restaurant's discerning diners a more fascinating and interesting environment, plus adding an illusion of space. 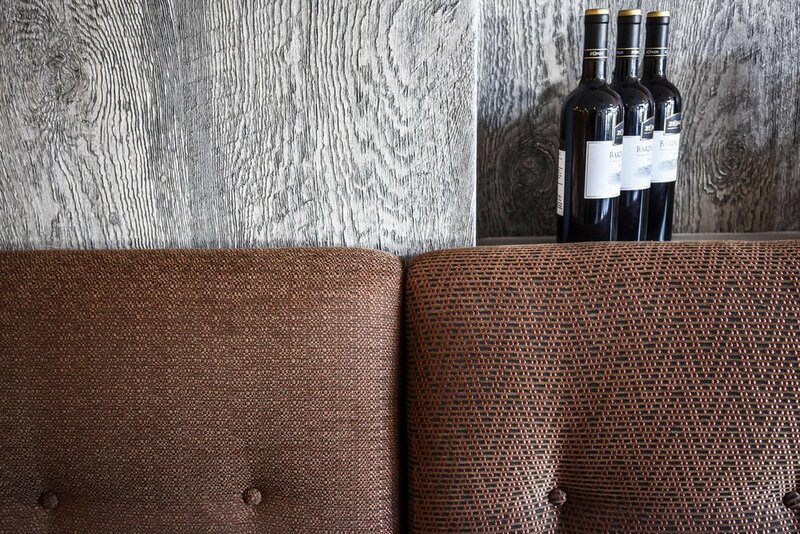 We echoed this also by use of different fabrics on the perimeter runs of fixed seating. 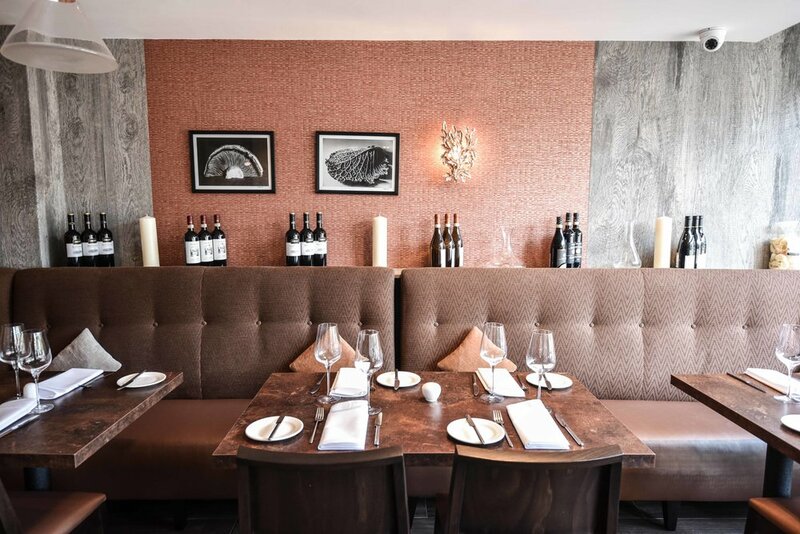 The overall seating arrangements are generous, yet uncluttered, giving customers a relaxed dining experience.